BeamControlSystem - Laser Beam Diagnostics - Laser Mechanisms, Inc. 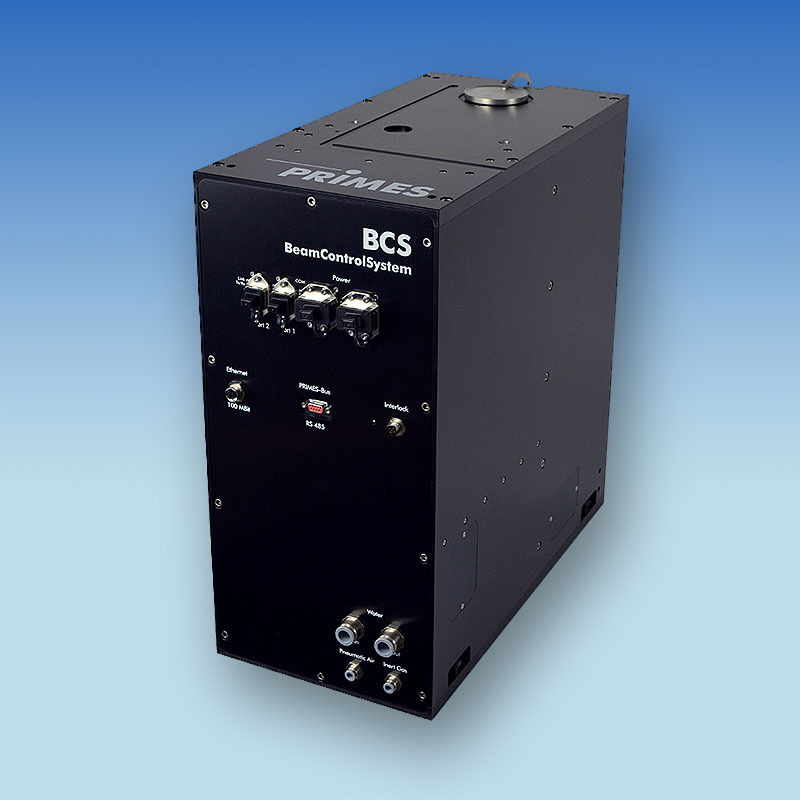 The PRIMES BeamControlSystem (BCS) enables the automatic measurement of the most important laser beam parameters within industrial laser processing lines. Beam power, as well as focal measurements and power density distributions are measured by the system which is shielded, rendering it completely dust-proof. Its “big brother” has also been optimised in weight. The clear aperture of 135mm allows power measurement far behind the focal plane or also of very large raw beam diameters, e.g. behind a telescope. The fiber adapter serves to directly couple a fiber to the power meter. This means that laser power measurements are possible even on high power lasers under safe conditions. Adapters are available for CompactPowerMonitors CPM F-1, CPM F-10, CPM F-20 for a number of common fiber connectors, such as LLK-B and LLK-D and also QBH and QD.